Easter approached fast this year and 1 week out I hadn’t made any plans, but knew I wanted to get away from London for the weekend. 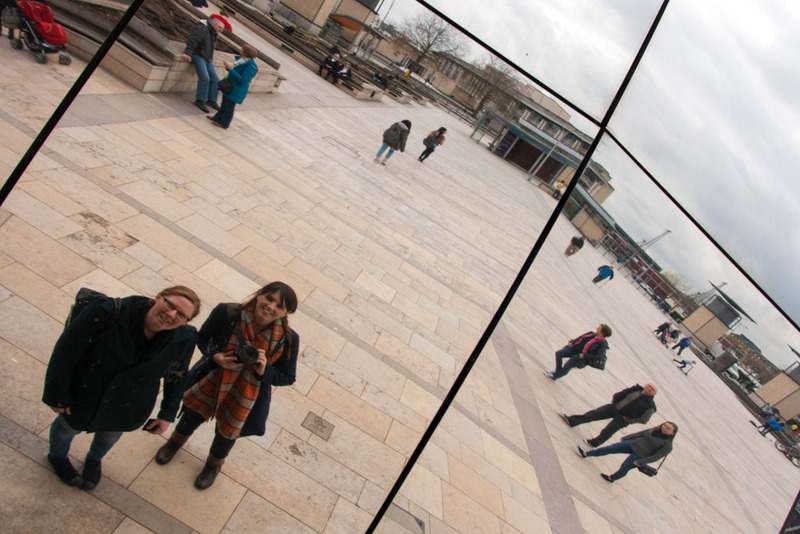 I had been reading a lot about Bristol and when you added up the cost of a train ticket and a cheap business hotel, it was a pretty good option for a last-minute weekend. 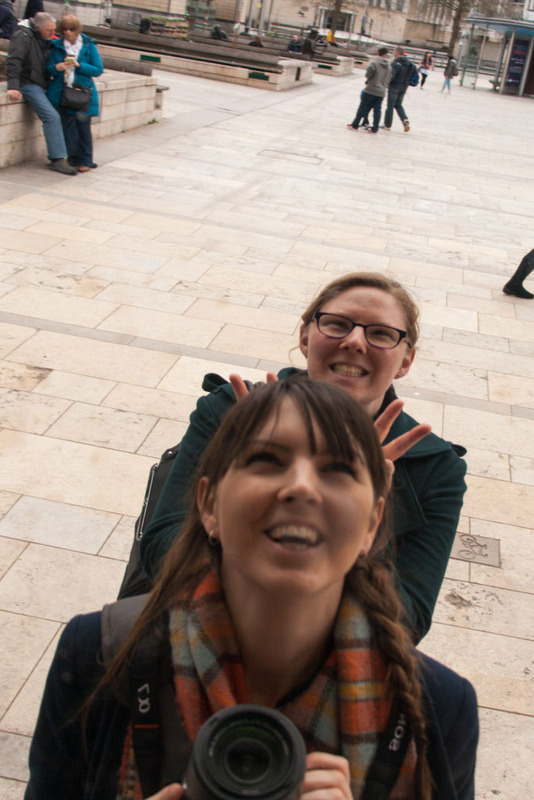 So my sister and I packed our bags and our books and jumped on the train. We were a bit hampered by Easter bank holiday closures. But an Easter chocolate fair on the waterfront and sunny winter days made up for it. 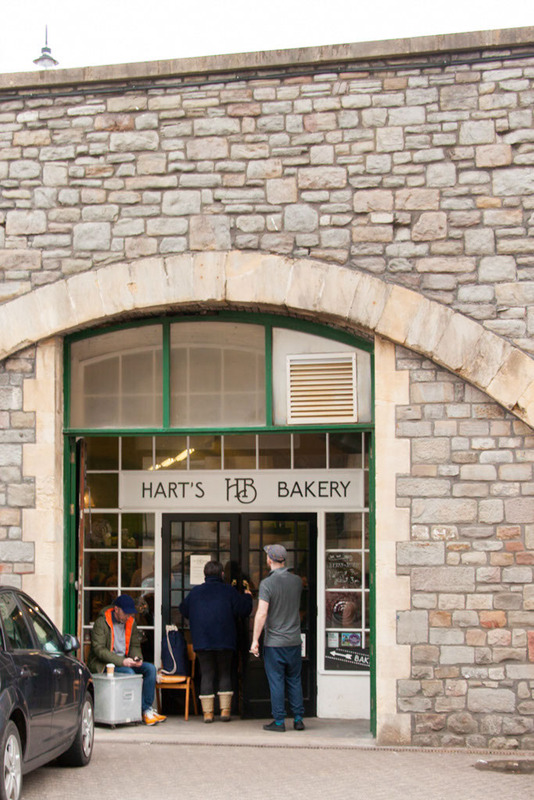 A great first stop when you arrive at Bristol Temple Meads is Hart’s Bakery. They sell lovely fresh breads, a variety of cakes and sweet things and, Kiwi’s will know what I’m talking about here, good cabinet food! By this I mean a good selection of lunch stuff that’s just ready to go like savoury muffins and quiches. I love that stuff. 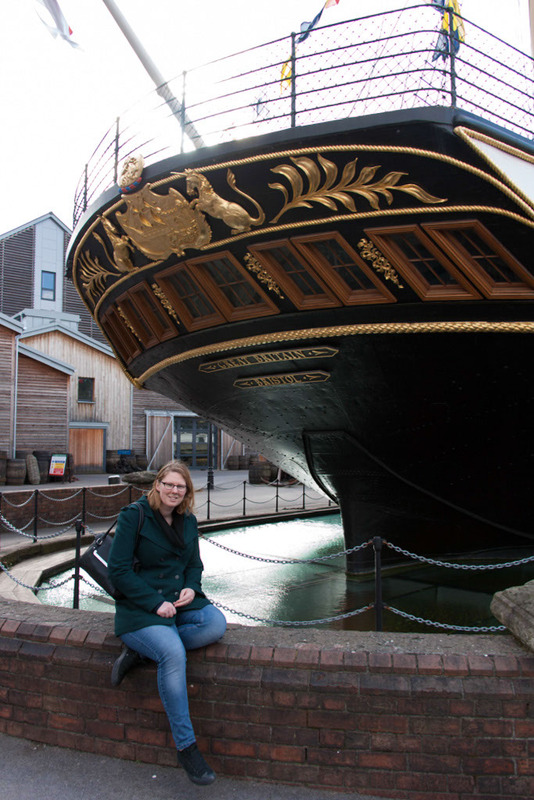 Wander along the colourful Harbourside to Brunel’s SS Great Britain. When the ship was launched in 1843 it was the world’s largest and fastest ship due to the new steam engine powering it. Technology advanced quickly in the 1840’s though and by 1852 the now obsolete engine was replaced and the ship converted to a sailing ship. The ship worked for decades carrying emigrants from England to Australia. It was fascinating to see how passengers would have travelled. I definitely wouldn’t be able to squeeze into even one of the first class beds. They are tiny! 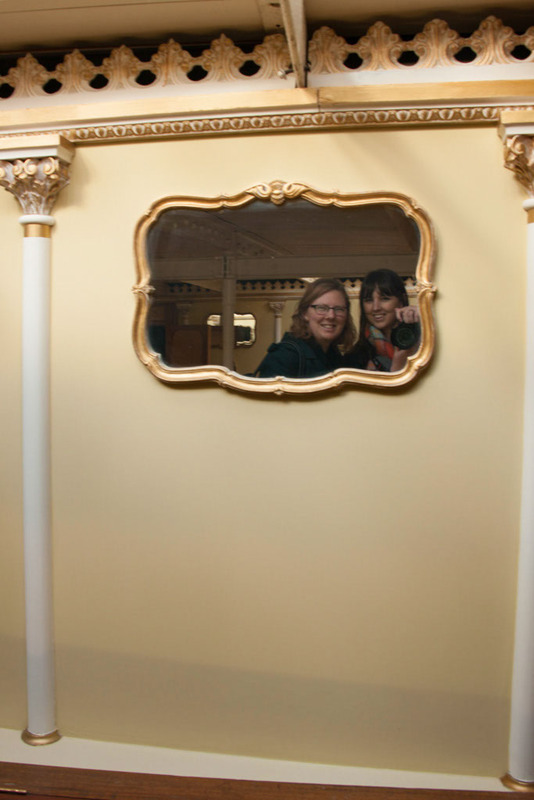 This is Claire and I goofing around in the first class dining deck. 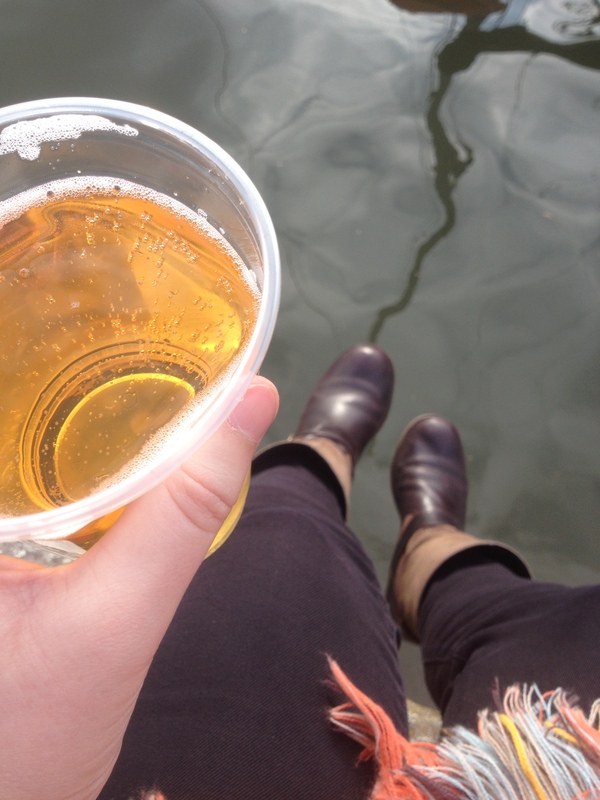 We saw a few smart souls had grabbed beers and perched themselves on the docks to sit and watch the winter sunset. 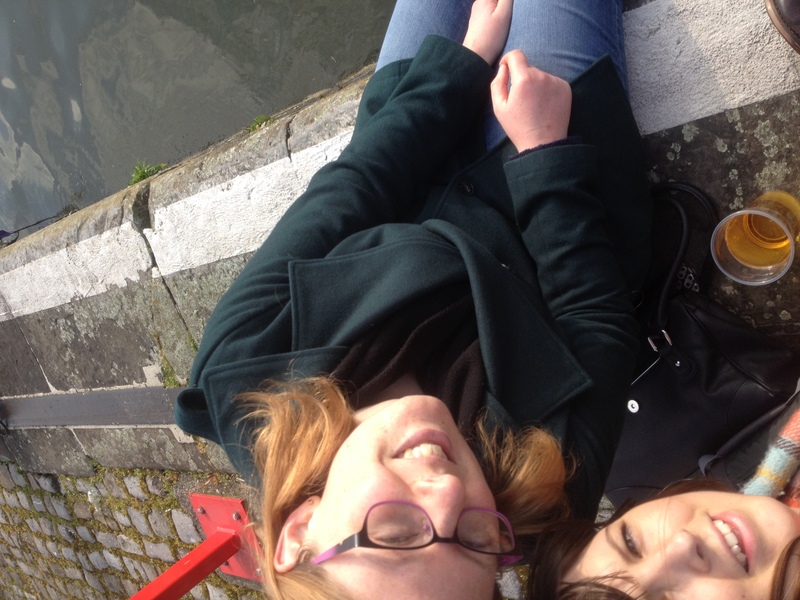 It looked like the perfect way to rest our legs and we quickly sourced beers from Arnolfini Cafe & Bar and sat people watching as the sun went down. 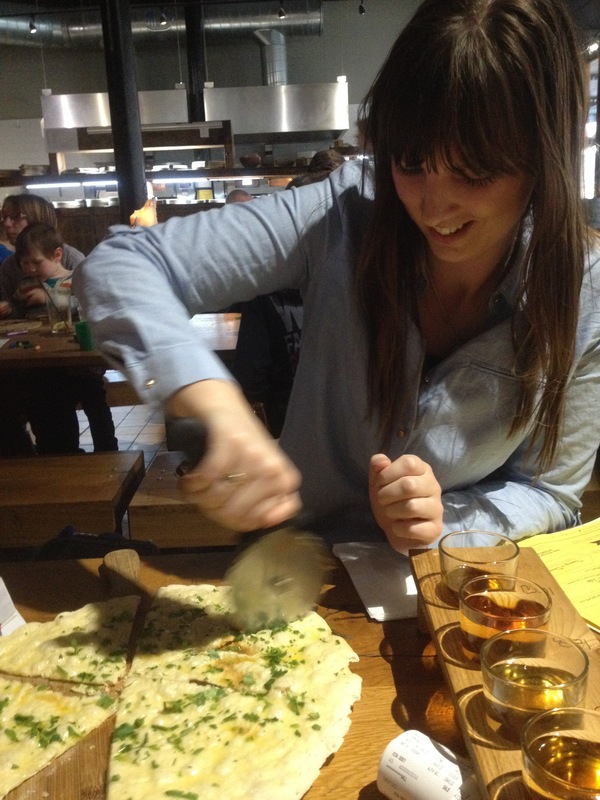 Definitely tuck into pizza and the cider tasters at The Stable on Bristol waterfront. 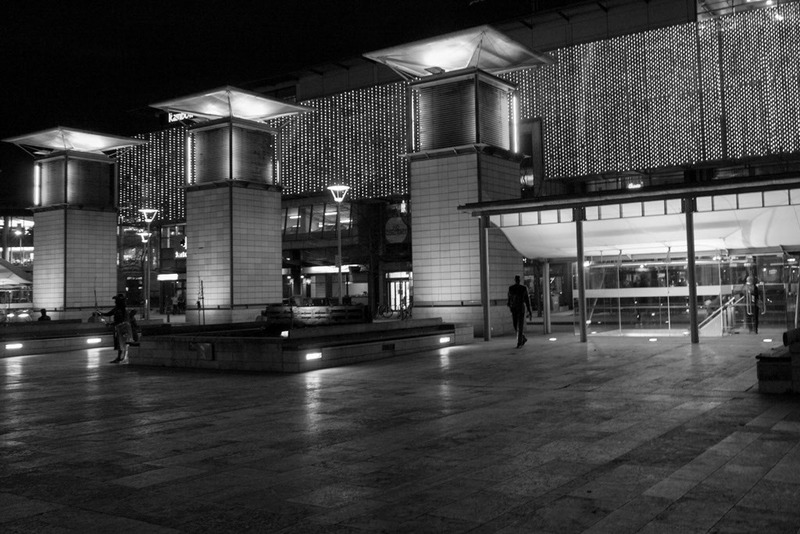 Take a stroll around Millenium Square at night. Or check out the mirror ball and bronze sculptures there during the day. I just read that there is one there of Cary Grant who was born in Bristol. I didn’t pay enough attention to the sculptures, I have about 5 mirror ball selfies instead. 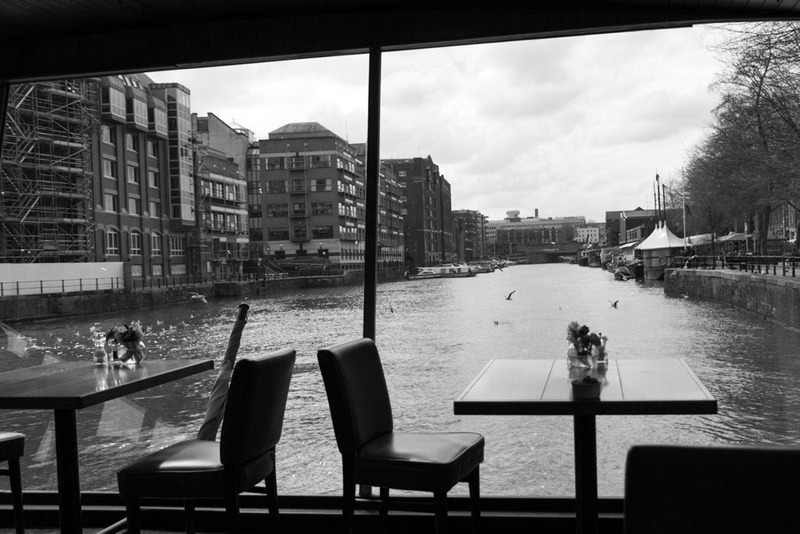 I can recommend the Glassboat restaurant for a breakfast or a coffee on the water. 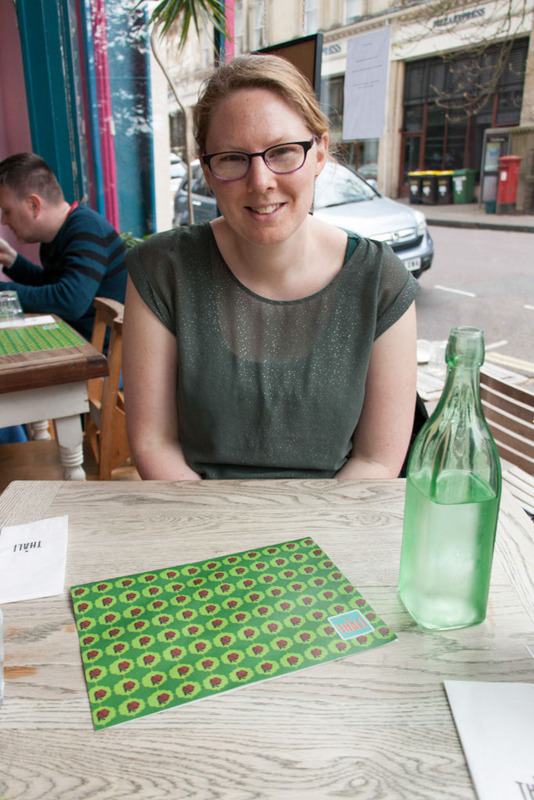 No surprises for me, I had the muesli and an English breakfast tea when we popped in. Both were exactly what I need to get me ready for a second day of exploring. 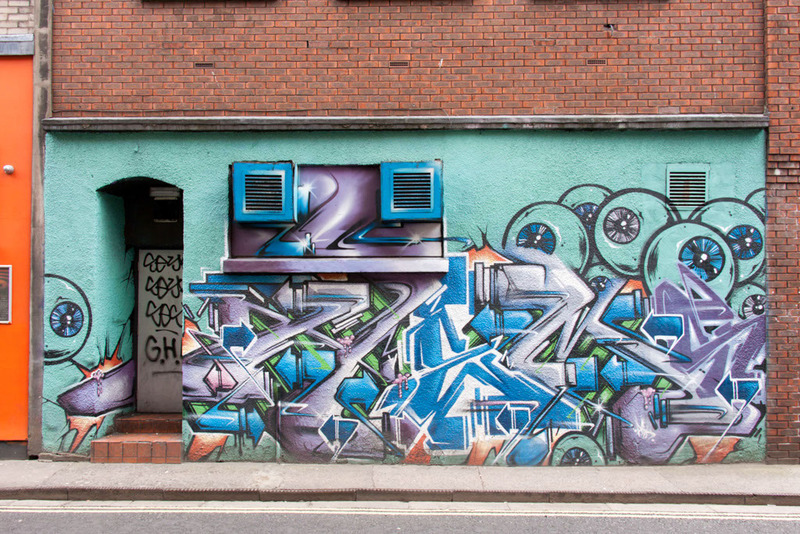 We wandered past the Bristol Cathedral in search of street art. 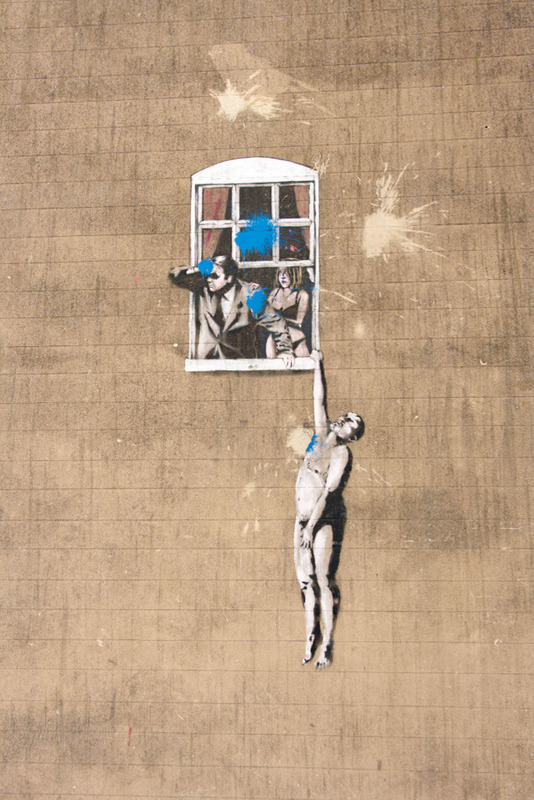 Bristol is known for its street art scene and is home to a number of Banksy pieces. We went looking for ‘Naked man’ which is on Park Street, but stumbled across ‘Swinging Girl’ too. 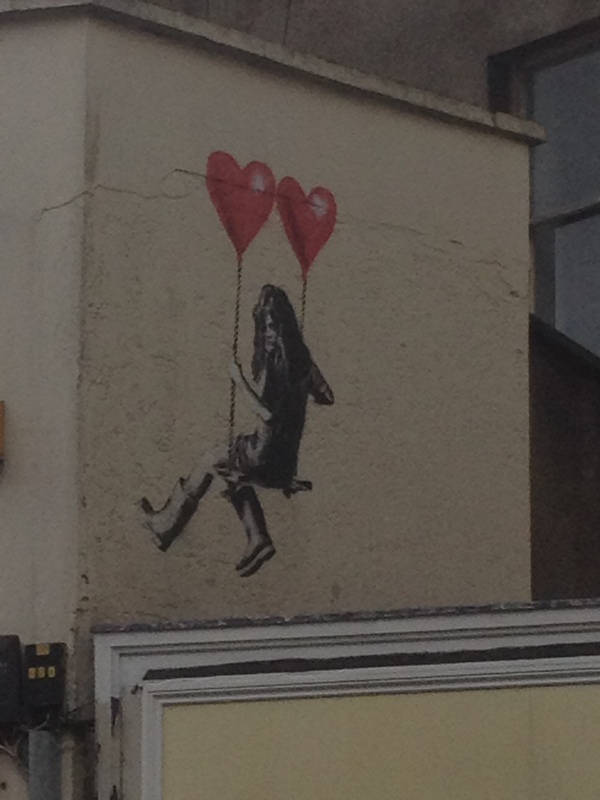 We thought this was a Banksy, but reading more about it now it seems it may have been a copy-cat, either way it was nice to look up and see it brightening up a very dull area of town. Tuck into some gorgeous Indian food at Thali Cafe. 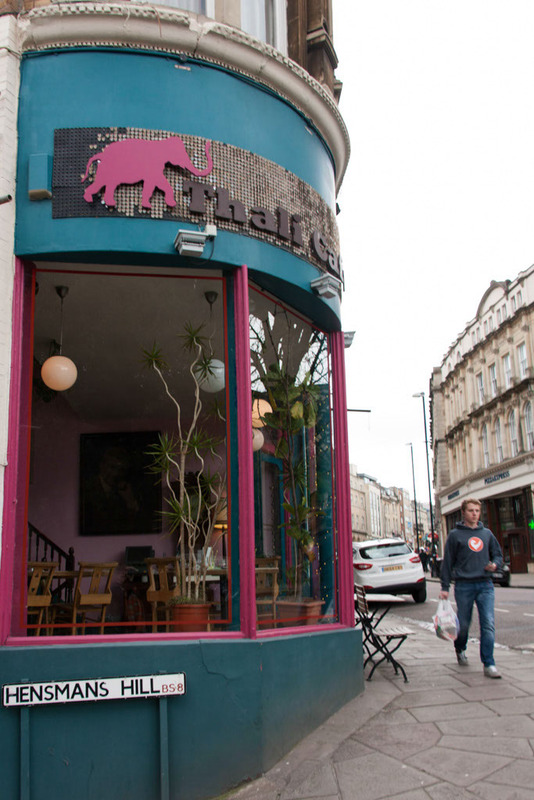 This is a Bristol institution, every tourist guide and Bristol blogger mentioned Thali Cafe and I am going to continue this trend. Go and try this fragrant and delicious indian food!! 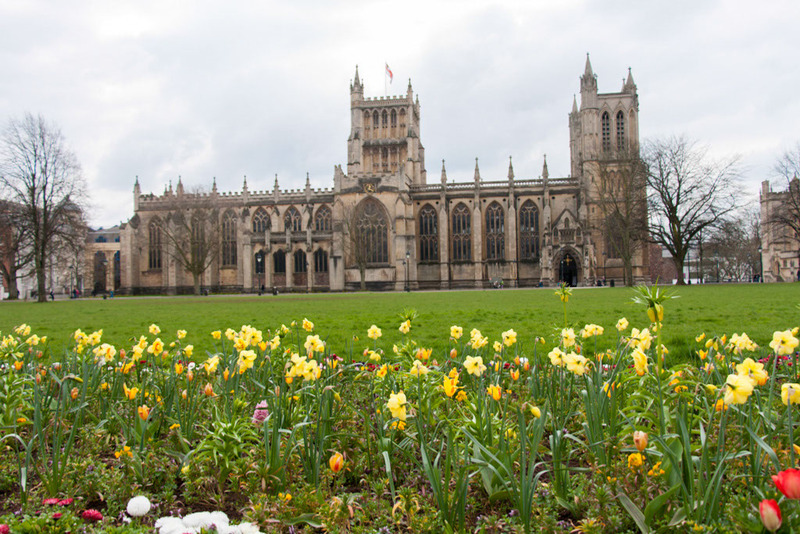 There are 5 branches and Bristol so you’ll never find yourself far from one. 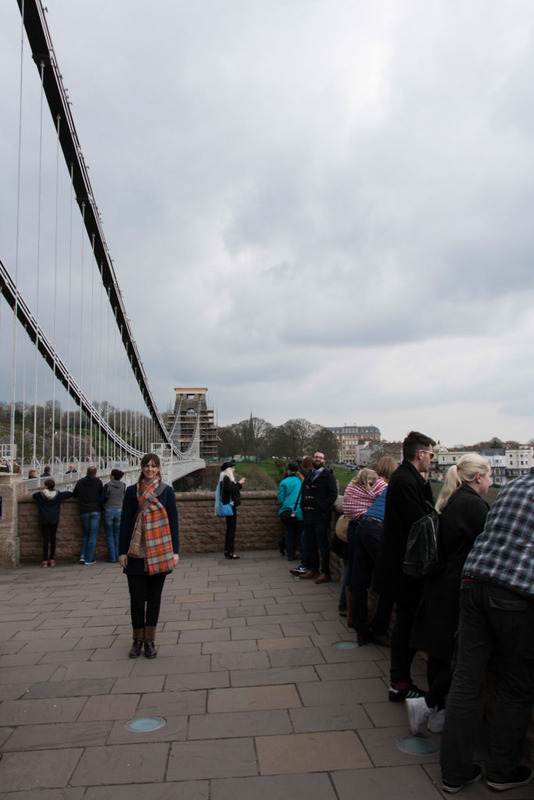 Our last stop was the Clifton Suspension Bridge. Before we got there I kept thinking that this was the bridge over to Wales. Nope, that’s the Severn Bridge, much bigger than this local one. On the plus side though, we could easily walk to the other side of this one. Well easier for some than others, Claire was holding on to the rails for dear life – she’s not one for heights. 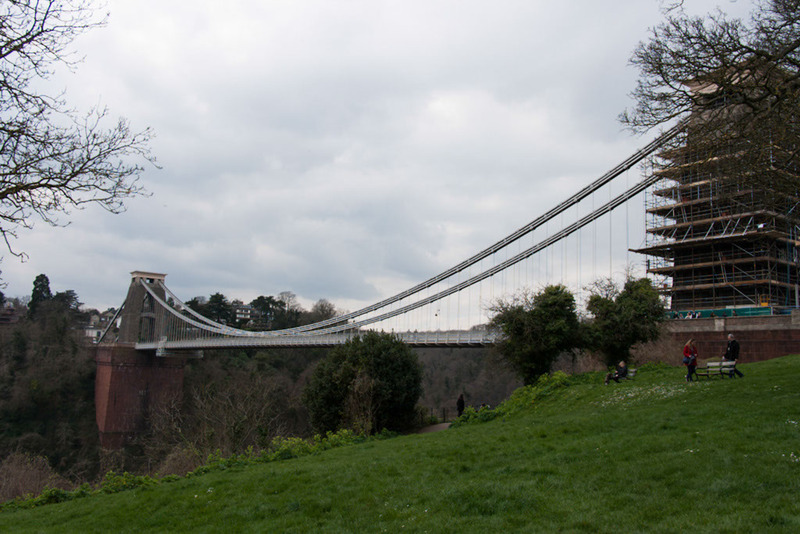 If you make it out to the bridge do take a stroll through the nearby Clifton Village. It has some interesting boutique shops and cosy little cafes. 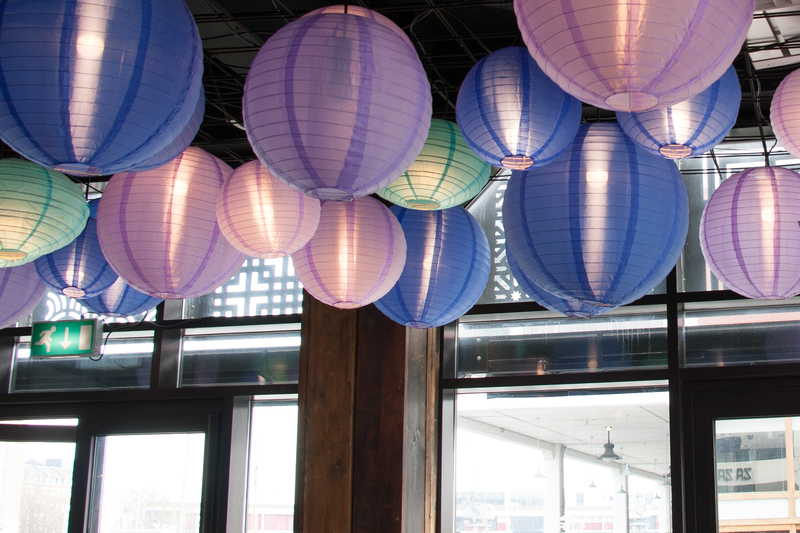 We finished off our weekend in Bristol with a warming hot chocolate at Za Za Bazaar where I fell in love with these purple lanterns. I have about 20 pictures of them – no joke. 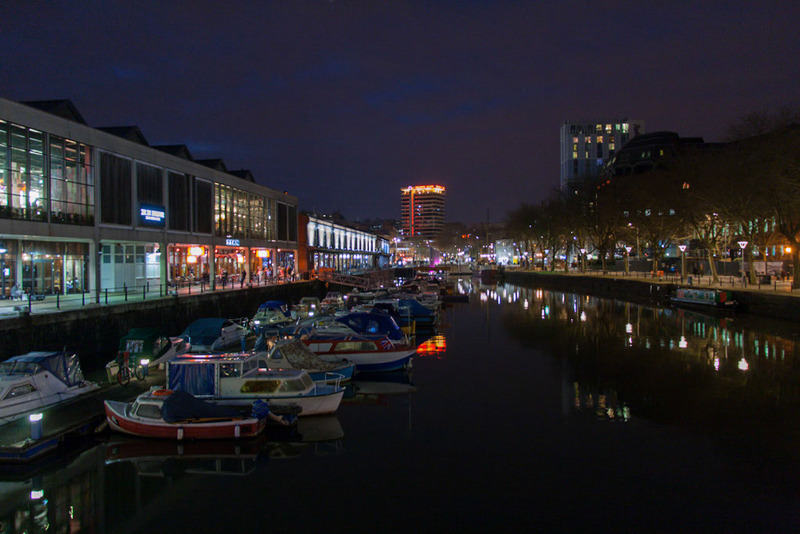 I’m sure I haven’t even scratched the surface of what Bristol has to offer, so if you have any tips please pass them on. I definitely want to take Ben and show him around one day. 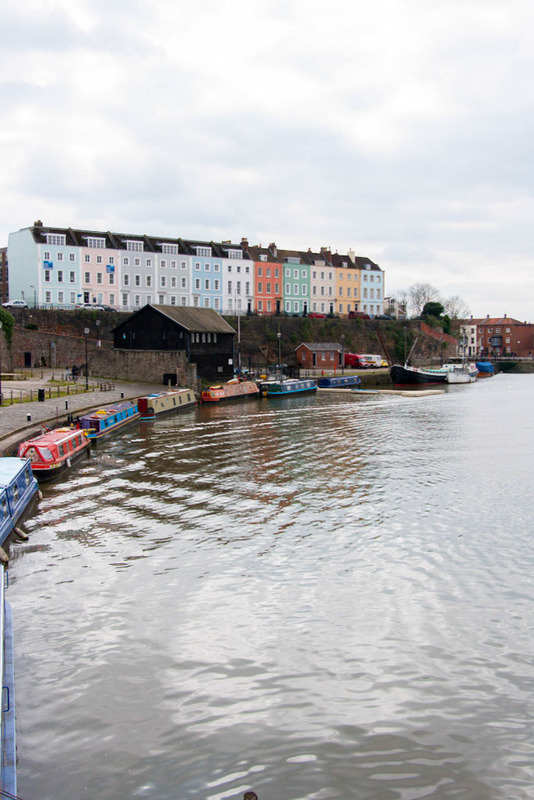 This entry was posted in Travel and tagged 2 days in Bristol, a weekend in Bristol, Bristol City Break, Bristol in 24 Hours, Bristol travel guide, Bristol UK, City Breaks, Day trip from London, short trip from London by andieinspired. Bookmark the permalink.